This function allows you to obtain the list of running processes from a remote computer. If the program cannot read the process list from the remote PC, please read this solution in our FAQ: The program cannot get the list of running services, processes, and installed software from a remote PC. Fig. 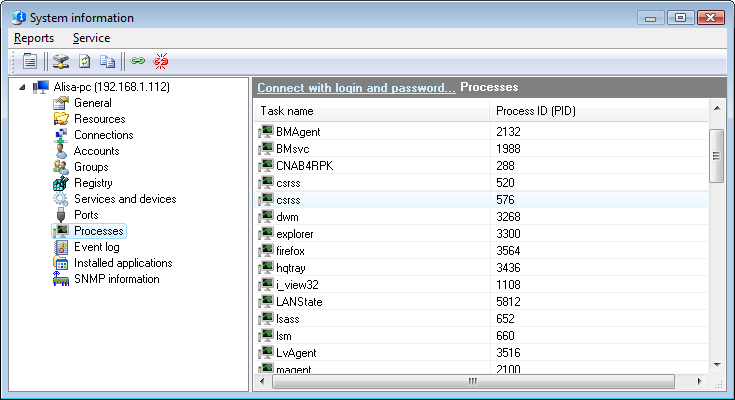 1: The Processes window.